Chris Gayle is a lot of things – a talented athlete, a celebrity, outspoken and after his antics during the BBL broadcast on Monday night – a disgrace. In case you missed it, Chris Gayle assumed that a interview being internationally broadcast was the right time to put the moves on Mel McLaughlin, who in true professional manner, kept on keeping on. There’s an old analogy about the size of the fight in the dog being more important than the size of the dog in the fight. This morning the dog is society and it seems there is a clear dividing line between people seeing what Chris Gayle did being a bit of fun or for what it was – desperate and grotesque. This is more than a media and celebrity issue, it’s a desperate reflection on a societal problem, a problem that shouldn’t exist in the 21st century. The fact there is still an equality debate raging in the year 2016, be it equal pay, marriage or gender sports coverage on television is a sad indictment on how far we have left to go as a society. If anything is going to change it is going to come down to people power. In the age of Social Media people are quick to anger about anything, why not get angry about something useful? We all have the right to feel comfortable in our workplace and from outward appearance McLaughlin wasn’t afforded that right last night. The debate over athletes as role models will continue to rage long after the dust settles on this issue. The fact of the matter is that there aren’t many people reading this who haven’t idolised an athlete for one reason or another. The other side of the coin is how we treat athletes when they make mistakes – be it dropping a crucial catch or doing something as astronomically stupid as what Gayle achieved last night. Gayle is going to release a statement. He’ll be sorry, he’ll be full of regret, he’ll have learned his lesson. Forgive me, but this is a record that athletes play far too often. If that’s the case why was Gayle involved in a similar issue in the Caribbean Premier League last year? He thinks he’s invincible. It’s time to end the myth. The solution is simple. Fine him, suspend him and ban him from speaking with the media for the rest of the season. If he wants to live by the sword then he should be prepared to die by it. It’s not unfair or harsh, it’s every action having a consequence, be it positive or negative. Change occurs when the response to an issue is greater than it has been when similar issues have arisen in the past. 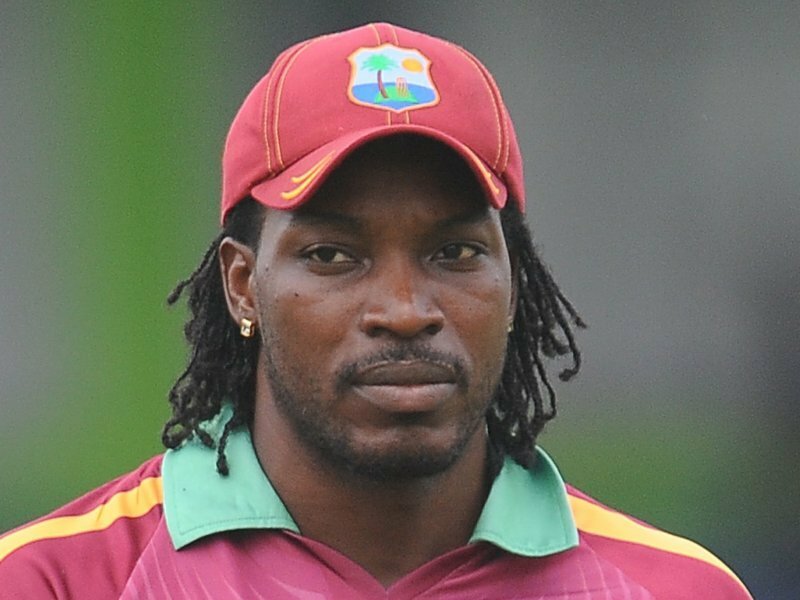 For change to come from the actions of Chris Gayle, he must be hung out to dry. Maybe, just maybe, this can go from being an international embarrassment to another step in the right direction for societal change. This entry was posted in Published on xavierplayer.com, Written and tagged Chris Gayle, Mel McLaughlin. Bookmark the permalink. Were was you when Nuala Hafner was trying hookup with a guy on sunrise on live morning TV ?? Appreciate the comment. As you’ve probably noticed, I focus on writing about sport on here but I agree, the issue goes both ways and I certainly had the same discussion with people when the Nuala Hafner issue arose.